SAS Uniforms. 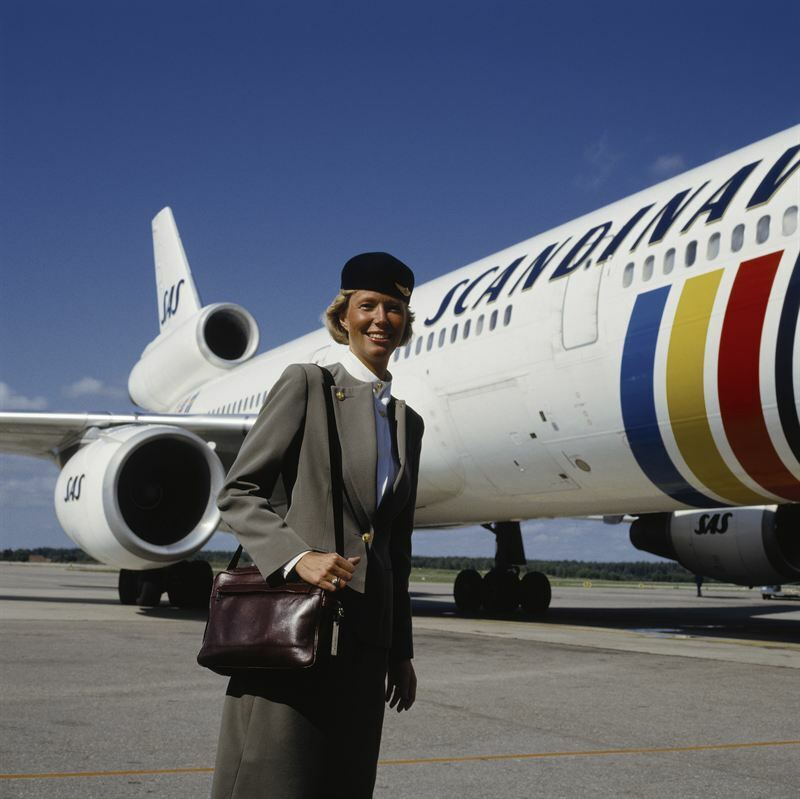 Air hostess in summer uniform with cap and shoulder bag in Bordeaux colored leather designed by Calvin Klein 1983-1999. Air hostess on the front of SAS aircraft.